Calculate Atomic Volume and Radius. Solid and regular in shape, the specimens in this set provide a clear visual distinction of different sized atoms that represent a mole. Students can handle each specimen for hands-on learning and use them to determine atomic mass, volume, and radius; molar heat capacity; density; and specific heat. Once calculations are completed, atomic mass of unknown elements in the lab can be computed. 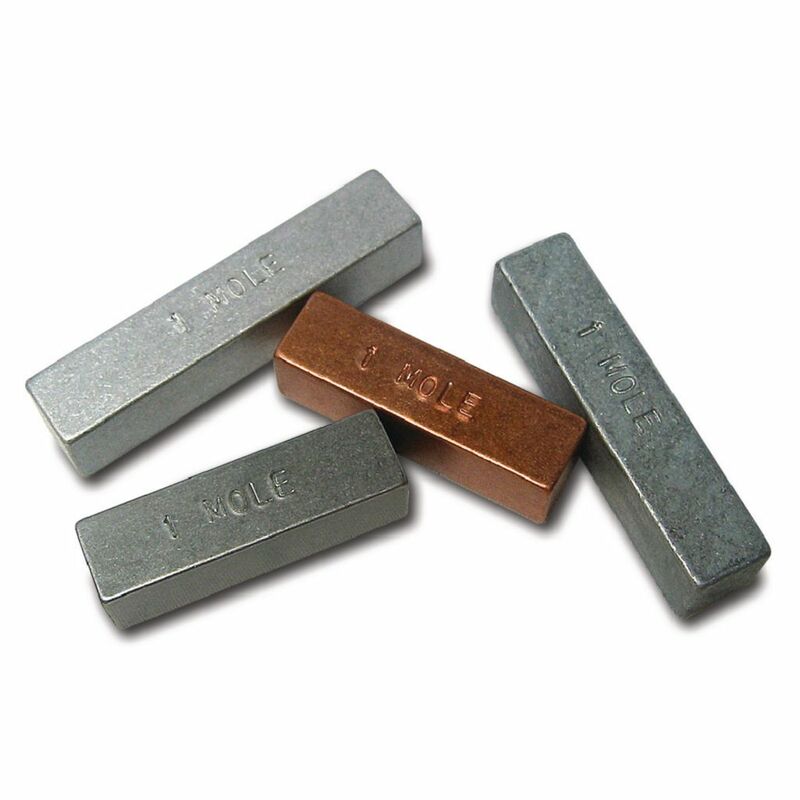 Includes elements aluminum, zinc, copper, and iron.